Rules & Guidelines | Simon Family JCC | Fitness. Family. Fun. For Everyone! Please read the following rules before you become a member or register for any classes or events. Registration for membership or classes, by any means, indicates acceptance of all rules. Your JCC membership offers you the opportunity for a “home away from home” when you travel. Most Jewish Community Centers in the United States offer membership reciprocity for members of other Jewish Community Centers. Please contact the JCC in the city you will be traveling to in order to find out what their policies are for reciprocal memberships. Visit the Jewish Community Center Association web site for participating JCCs. Are you a member of another J? Do you visit South Hampton Roads? 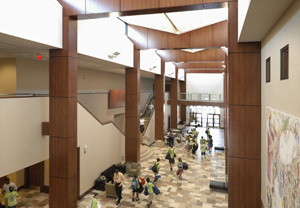 Members in good standing of any JCC affiliated with JCC Association of North America are eligible to use the facilities of the Simon Family JCC for up to 30 days within any 12 month period without payment of a guest fee, provided their permanent place of residence is outside the greater South Hampton Roads area. These guests will be required to show a valid ID from a JCC at each visit to the Simon Family JCC. Additionally, these guests will be eligible to participate in fee-paid services offered by the Simon Family JCC at Member rates. The JCC has ther right to exclude from membership or activities those who fail to abide by the rules of this institution. All classes and programs are subject to minimum and maximum enrollment. The JCC reserves the right to cancel any class or program due to insufficient registration. Your registration is accepted on the assumption that the class or program for which you have registered has not yet reached its maximum enrollment. Registrations are also accepted by telephone. Register early to avoid being closed out of classes or programs of your choice. While many activites are available to members at no additional cost, all require advance registration due to space limitations. For some health and fitness programs, a doctor’s note or verification of age may be required. Full payment is required at the time of registration. Current membership at the time of registration and throughout the session is required to take advantage of the member price and member services. Refunds must be requested in writing. A full refund will be issued if the request is received five business days prior to start of class. However, no refunds are available for single classes, Kid’s Night Out, Maccabi Club or special events including, but not limited to Forum, Book or Film Festivals. Refunds may be issued by a credit to the member’s account, through the issuance of a JCC gift card or a credit to the original purchasing credit card account number. Refund method is at the Simon Family JCC’s discretion. Any or all classes may be cancelled or rescheduled at the discretion of the JCC. I give unconditional permission to the JCC to photograph me and/or my child(ren), and to use the photographs to publicize the JCC and its programs and activities in newsletters, brochures, program guides, advertisements and for other similar not-for-profit purposes. No one under the age of 11 is allowed in the facility without supervision of an individual over the age of 18 or a caregiver. 1. Drop Off: Completed registration form can be dropped off at the JCC reception desk with payment in full. 2. Website: Register using our secure online registration form…Coming Soon! 5. Registrations are also taken by phone. * Remember – always FEET FIRST. * Only Coast Guard approved flotation devices may be used in the pool. * Approved inflatable pool toys are permitted. 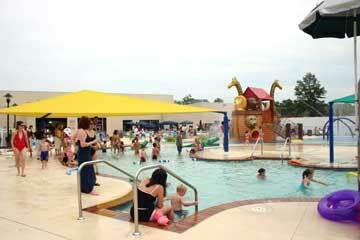 * Children 7 and under must be supervised by a parent or guardian at all times while using the pool. * Children ages 8-11 may use the pool with a parent in the building by passing a swim test. * Children 12 and older may use the pool without a parent in the building. * All food must be consumed in an area at least 10 feet from the waters edge. * Please do not chew gum while in the pool area. * Glass containers are not permitted on the pool deck. * Please do not run while on the pool deck. * Horseplay is not permitted while using the pool.